Anna Müller and Paul Wallner founded HVOB in 2012. 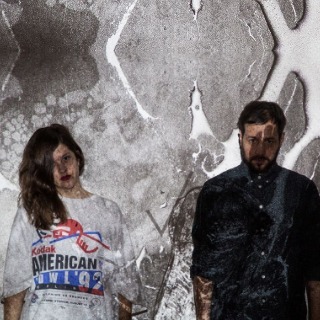 The #duo focuses on "restrained and minimalist" #electronica with the use of #vocals. After releasing #music on #SoundCloud they were discovered by Oliver Koletzki, a German #dance and #house music #producer. Koletzki contracted the duo and they later appeared at the Melt Festival. Their first EP "Dogs" was released in 2012. In 2013, the band released its first #album "HVOB". Their second album "Trialog" released in 2015 was said by American Thump magazine "as a contender for an 'Album of the Year' award". In 2015, the duo toured India and went to various cities including Bangalore. The duo has been "voted as one of the best live acts in the world". In 2017, the group released their third album, "Silk" with collaborator, Winston Marshall. Jamie McNamara of BeatRoute describe the first #track on the album as "moody atmosphere and guitar-led dance music". In 2018, the group performed a sold out show at the Mezzanine in San Francisco. HVOB always performs #live on stage, accompanied by a #drummer.